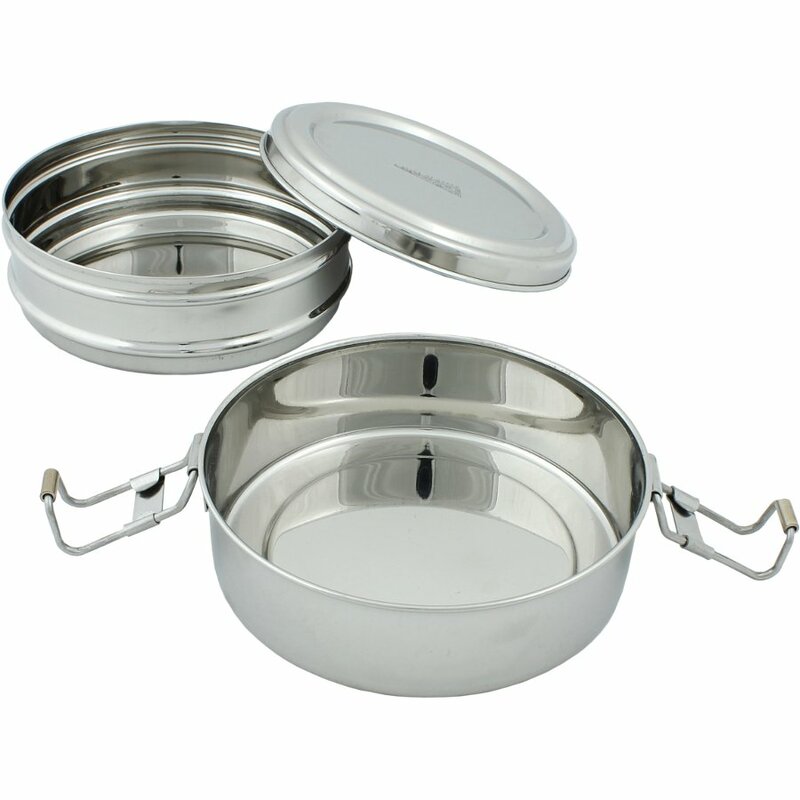 This lunch box was designed to give you a stylish container to transport your lunch whilst keeping it fresh. 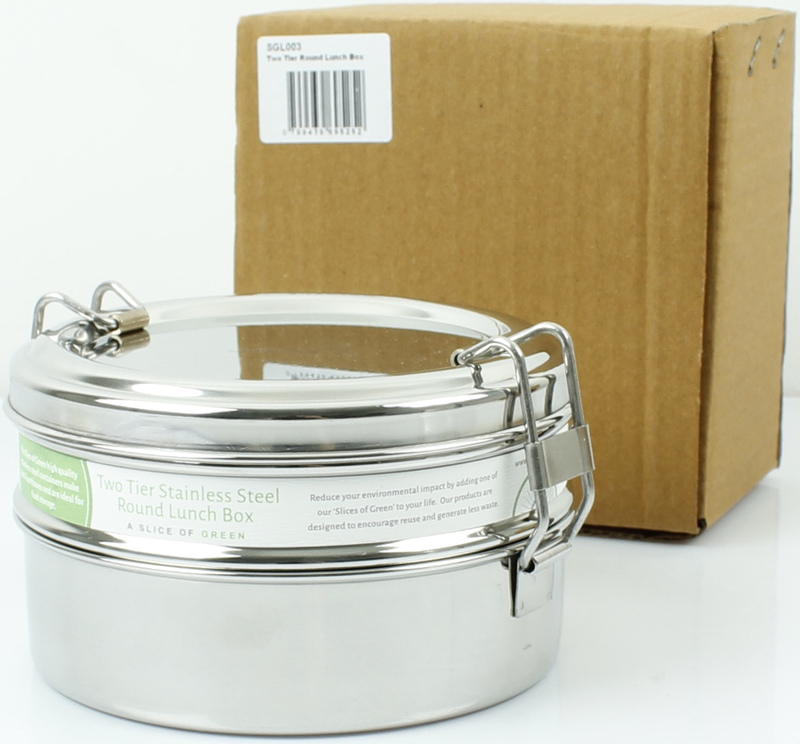 Made with food grade stainless steel which is non-toxic, non-staining and will not retain or impart flavours. 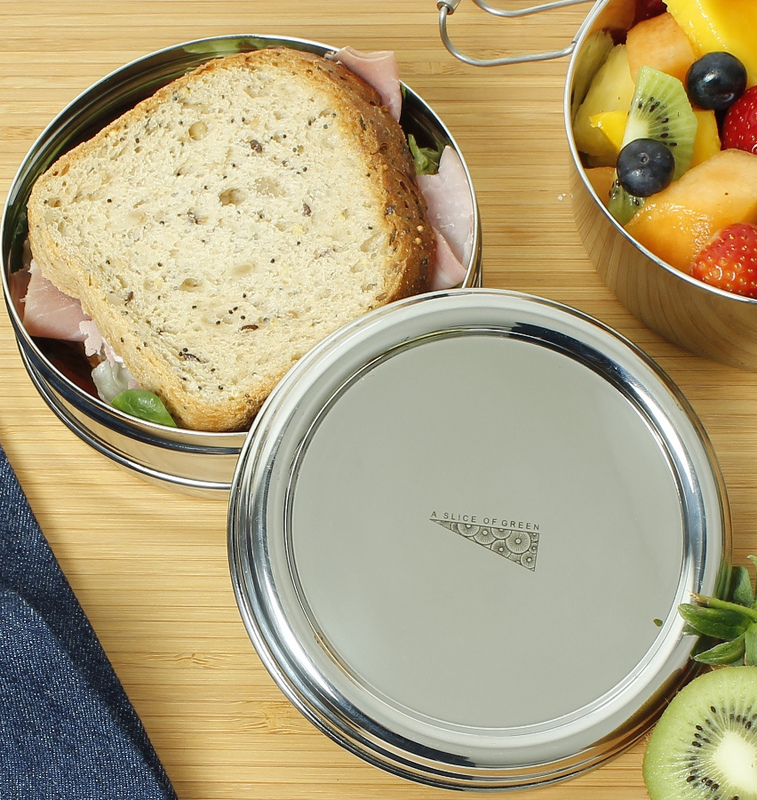 Take your healthy snacks and sandwiches to work or on a picnic in one handy container instead of buying pre packed or using plastic containers, saving on waste. 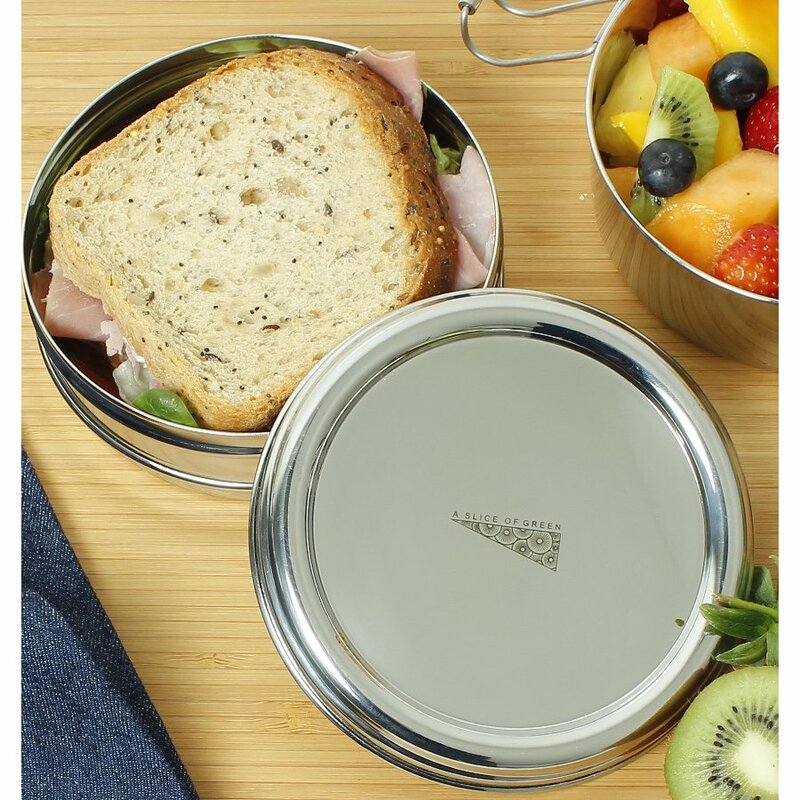 This BPA, phthalates and lead free container duo comes with an easy clip closure and is not only a lovely lunch accessory, It’s also good for the planet. Although this can’t be used in the microwave, it is dishwasher safe. 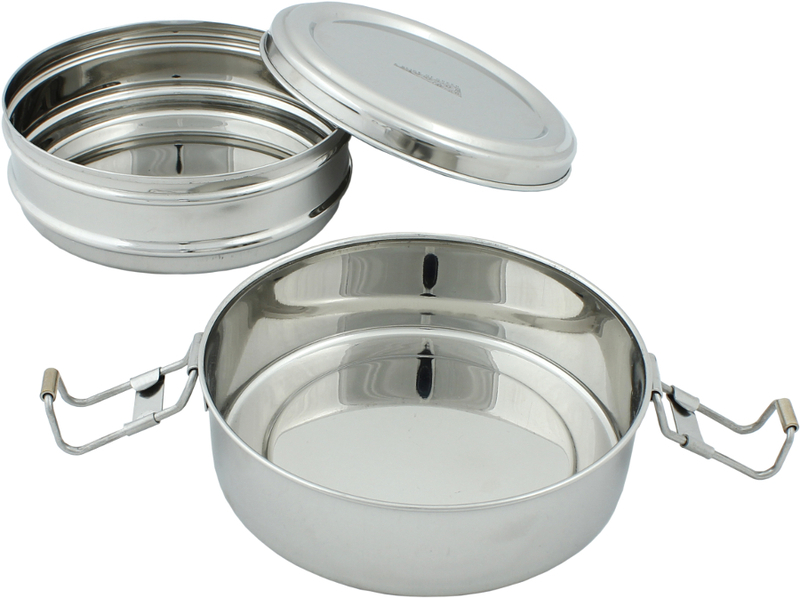 Dimensions: 8cm x 13cm dia with an 800ml capacity. Top Layer: 5cm x 13cm dia and a 500ml capacity. Bottom Layer: 4.5cm x 13cm dia with a 300ml capacity. Made responsibly to a very high standard in India. 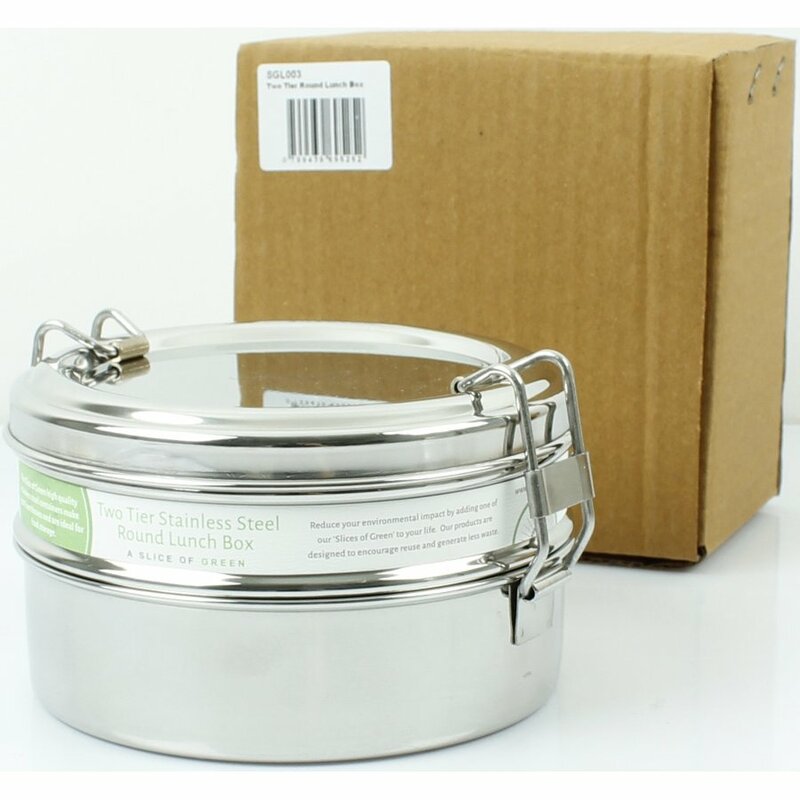 There are currently no questions to display about A Slice Of Green Two Tier Round Lunch Box.